The history of wine on Elba is fascinating and complex. Up until the beginning of the 20th century, the production of quality grapes was considerable and much was shipped to the mainland. Overshadowed during the last century by competition from major “industrial” wine production in other parts of Italy, today Elba has regained lost ground and makes top quality wines. The unique landscape of the island is enhanced by the many vineyards, where native vines prevail, and which produce excellent wine, such as Ansonica, Vermentino, Procanico and Sangioveto. The island has an extraordinary patrimony of terroir suited to the production of prestigious grapes, thanks to an incredible variety of soil, like that of the iron-rich hillsides or the slopes of the granite reliefs. This is why each of the vineyards on the island has its own distinct personality. Most occupy the inner, protected plains, such as Mola or Pila, others, climbing the spectacular heights of Elba and following the old, traditional terracing, have fabulous exposure to the sun. Elba Bianco, Vermentino and Ansonica are three of the most appreciated white DOC wines; Aleatico, one of the very interesting reds, is a native grape and often harvested late to obtain the superb Aleatico Passito DOCG. But of course, those who love dessert wines will also enjoy Moscato and Ansonica. After the harvest, as autumn returns so do the events to celebrate Elba wine. 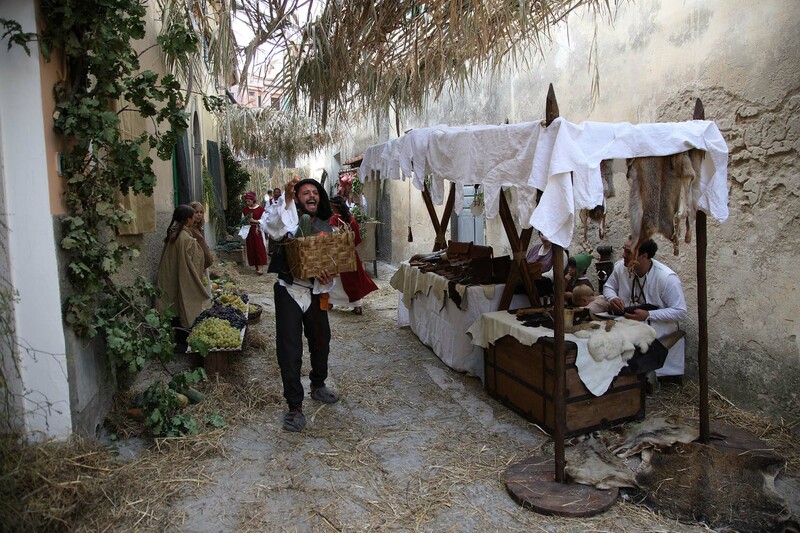 Every year, Aleatico is celebrated at the De Laugier Centre in Portoferraio. The event, where almost every vineyard on Elba is represented, is open to the public and year after year enjoys growing success. Alongside the undisputed leader, Aleatico, are stands offering local gastronomic fare and a section dedicated to craft beers. Every year on the first weekend of October, the renowned Grape Festival is held in Capoliveri. The initiative involves the whole town and each of the quarters provides colourful settings to welcome thousands of enthusiastic visitors, locals and tourists alike. As the name suggests, the festival is dedicated to wine and is an opportunity to taste the excellent local varieties together with many typical dishes. Grape Festival, Capoliveri. Island of Elba. Along the path leading to Sant’Andrea beach, a few hundred meters from the sea, you’ll see the sign for the Hotel Ilio Boutique Hotel. 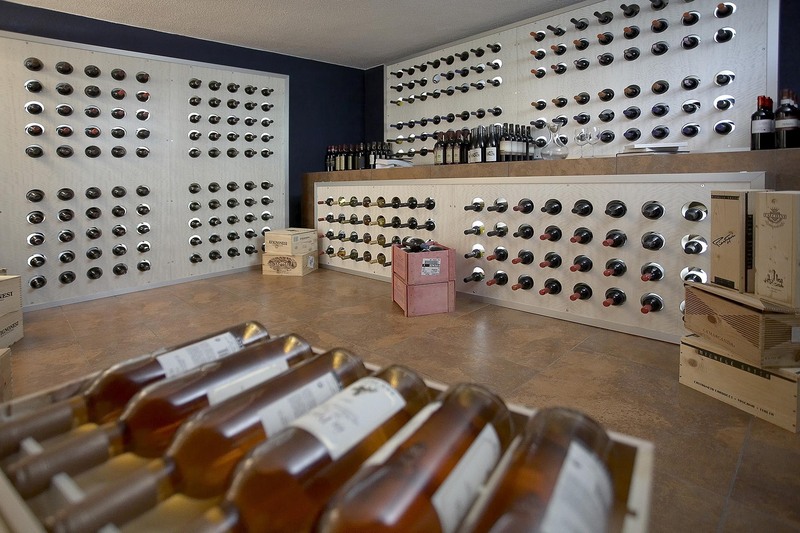 Follow the signs and, as you enter the hotel, ask to visit the small, elegant contemporary design cellar of exclusively Tuscan and Elba wines, including the select HI Wine, created specially for the Hotel Ilio. 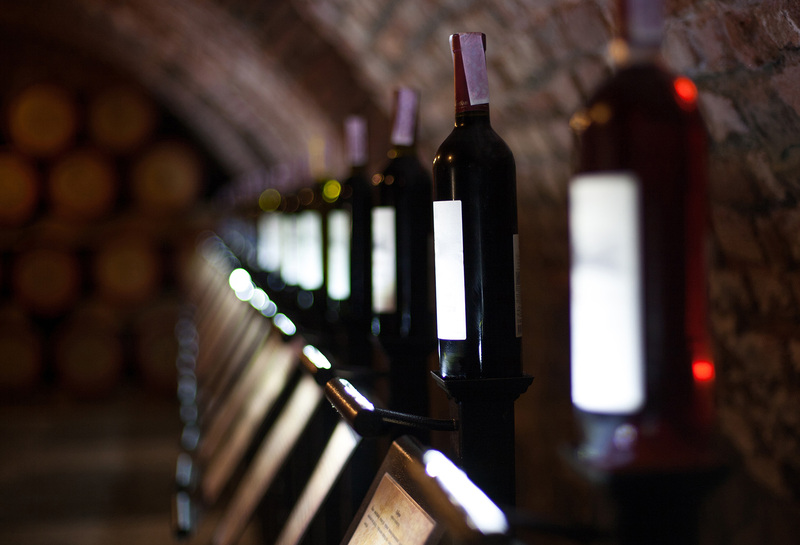 In the cellar, you can taste the wines that make Tuscany famous all over the world and purchase any you prefer. As a client staying at the hotel, you can take part in wine tours organized by the hotel’s Personal Elba Consultant. The most enjoyable event of autumn? The ideal opportunity to meet people and make new friends? 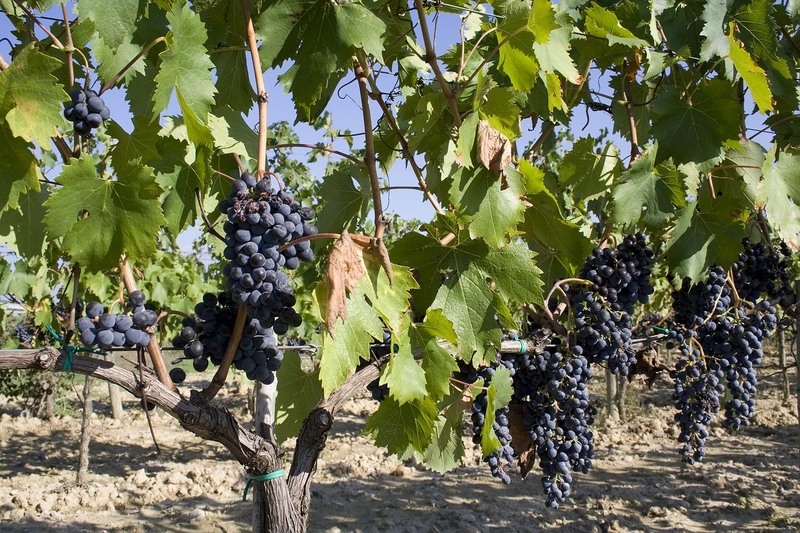 Don’t miss the local oenology event at the Capoliveri Grape Festival. Three days of shows, great food, traditional costumes and live music to enjoy the warm atmosphere of the new season. Lovers of good cheer? The Grape Festival in Capoliveri is for you. Would you like to learn more? 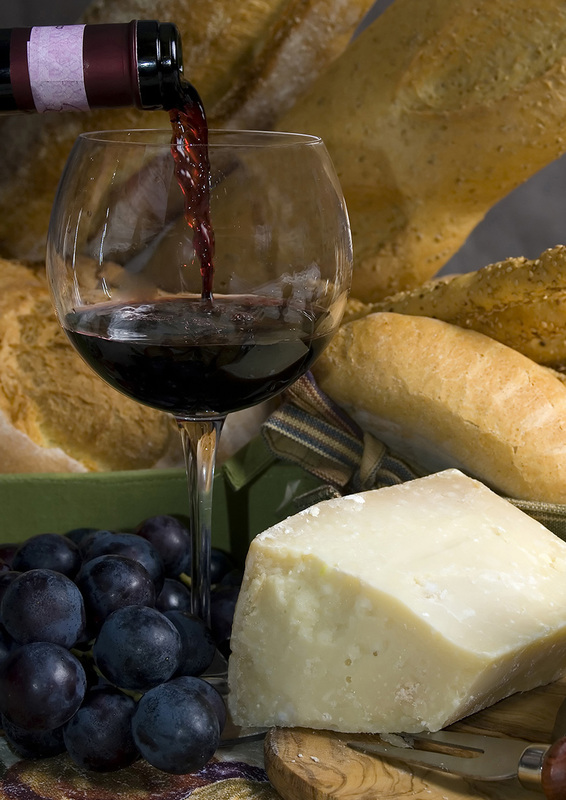 Book an interesting wine tasting tour to try the best that Elba has to offer. If you stay at the Boutique Hotel Ilio, you can rely on the expertise of our Personal Elba Consultant in planning a tour for you of the most beautiful vineyards in the area. Wine festivals are not recommended for small children. However, the top restaurants recommended by the exclusive Hi Guide are suitable for children and adults can enjoy the advice of expert sommeliers and a good glass of local wine. Our thanks to Emanuele Fontana for his contribution to this article. 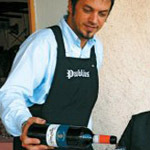 Emanuele, sommelier and owner of the restaurant, Publius, has many years’ experience in food and wine. This renowned restaurant in Poggio has a very good wine list and the wine waiter will be delighted to help you choose the best wine to accompany your meal.